In recent years, five provinces have passed legislation mandating certification for organic products sold within their borders -- a potential gap that could allow for intra-provincial sale of non-certified products, not directly addressed by federal legislation. To varying degrees, these provinces have also established support to assist farmers’ transition and certification costs, as well as other resources for the sector. Quebec was the first province to enact provincial organic regulation in 2009. The province had its own organic standard and a unique organic brand, but has since adopted federal standard. In 2015, the Quebec government announced a $9 million growth strategy for the organic sector including direct payments for transition, promotion and research. 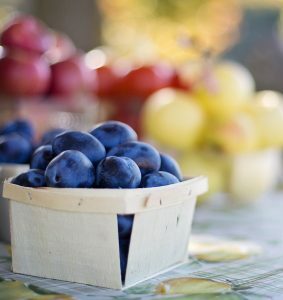 The Quebec organic regulation is enforced by an arms-length agency called Conseils des Appelations Réservées et des Termes Valorisants (Council of Reserved Designations and Added Value Claims), which is jointly funded by the government and the organic industry. Enforcement includes retail inspections and requires certification of in-store repackaging. Violators pay a fine of up to $20,000 for a first offence. Manitoba was the second Canadian province to enact regulation, in 2013. Its regulation system is complaints-based, and is administered by the Ministry of Agriculture. When complaints are received, the government can appoint an RCMP officer or CFIA inspector to investigate and enforce violations. Penalties for violations can be significant: up to $50,000 for a corporation, and $20,000 or 6 months jail time for an individual. New Brunswick’s provincial regulation came into effect in 2014, and is also a complaints-based system. Regulation is enforced by the New Brunswick Farm Products Commission. Penalties include a maximum fine of $5,200 and 30 days in jail for a first offence, and up to $10,200 for a second offence. New Brunswick also subsidizes new farmers seeking organic certification up to 70 percent, to a maximum of $500 per operator over three years, provides up to $4500 for training, and covers up to 60 percent of consulting fees. Nova Scotia was quick to follow New Brunswick in passing regulatory changes, but the changes were not enacted until 2015. The complaints-based system is similar to New Brunswick’s, but with a more modest ($100) fine for non-compliance. Violators who do not pay the fine can face jail time. Nova Scotia also supports organic farmers through transition by subsidizing up to 2 years of transition by 70 percent to a max. of $500. Nova Scotia‘s Department of Agriculture will make $3.7 million in investments through its Growing Forward 2 funding agreement, broadly encouraging more ecological practices, and including supports for Best Management Practices used in organic agriculture and manure management. British Columbia’s organic regulation will not come into force until 2018, even though the act was introduced in February of 2016, in order to give businesses time to transition. Development of the regulation is still in progress, but will likely include a complaints-based enforcement system that includes retail inspection and fines for non-compliance. BC was one of the first provinces in Canada to establish an organic standard and a provincial organic brand, the BC Organic Check. 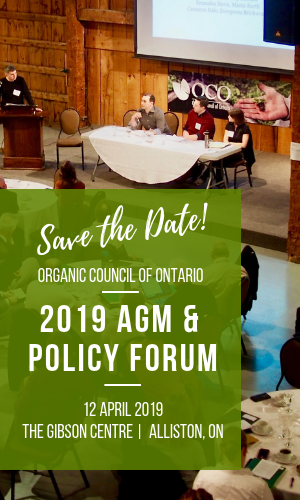 Its provincial standard has been voluntary since its inception in 1993, and has become well-established within the province, but with the introduction of the Canadian Organic Standards and Regime in 2009, the organic sector of British Columbia saw the need for clarity on the organic claim. The new regulation will require all products labeled organic to be certified to either federal or provincial standards. It will be administered by Certified Organic Associations of BC, which already collects fees through its membership of certified bodies. BC’s existing certification process includes a “low-risk” category for small-scale operations, which allows for less frequent inspections in order to reduce cost. Alberta has not yet enacted organic regulation, but its Minister of Agriculture has requested that a provincial regulation is explored. Organic Sector Development Specialist, Keri Sharpe, is currently reviewing the possibilities.